Four kids, a mini-van and a lot of love: Alphabitty Moments! 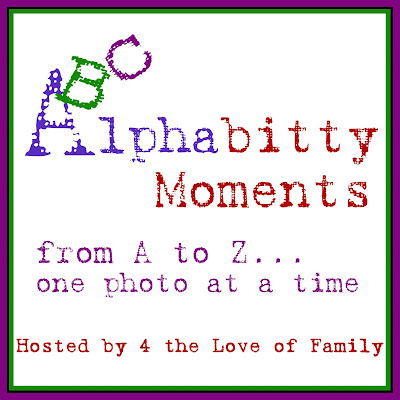 Back with another letter of Alphabitty Moments from 4 the love of family's blog. Head on over to see everyone elses Alphabitty Moments! Just click on the pictures to see them larger! That was an excellent idea! Beautiful layout, too! I can tell you right now that my layouts will pale in comparison to yours!